Tap Forms is a very powerful organizational tool designed to help you keep track of all your life's most important information. 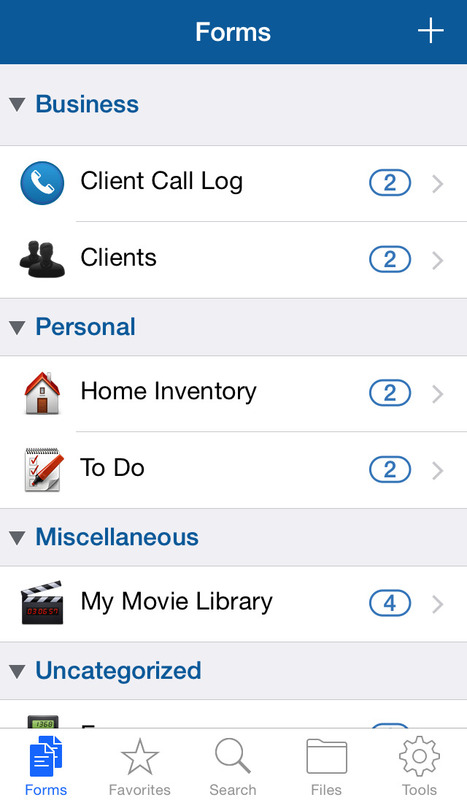 Use Tap Forms to track your inventory at work and manage your household items at home. Great for insurance and accounting purposes! It's even great for managing your holiday gift lists. If you're a master chef in the kitchen, you can use Tap Forms to manage your entire library of delicious cuisines. Are you a movie buff but you have too many movies to keep track of? 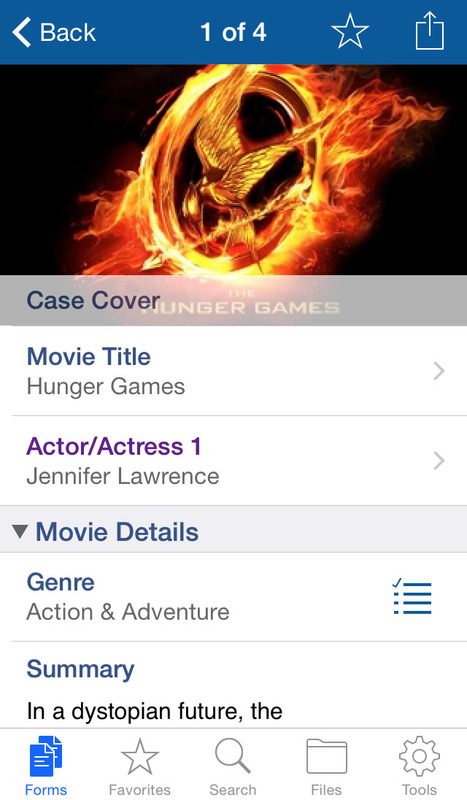 That's easy, since Tap Forms can help you categorize, rate, and manage your entire movie collection. Never forget who you've lent your movies to ever again. And with built-in support for iCloud, now you can keep all your Tap Forms data on your iPhone and iPad in sync with your Mac. 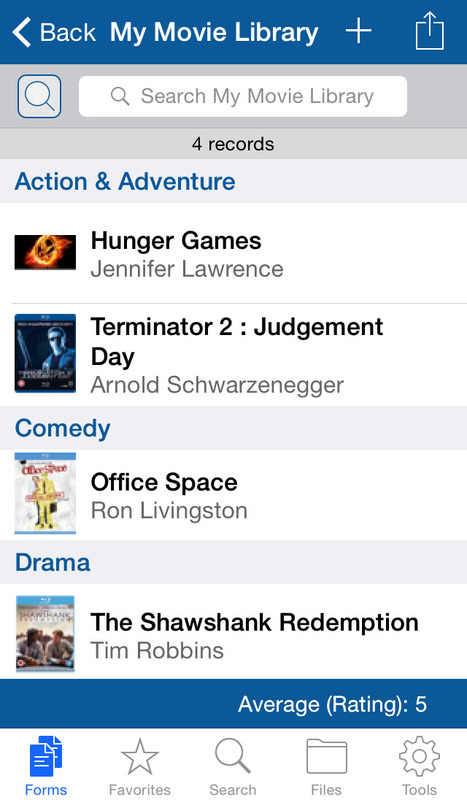 So when you're out at the store trying to remember if you already own a copy of The Terminator, just look it up on your iPhone using Tap Forms for iOS! Speaking of looking up stuff, Tap Forms now has Saved Search Rules. With Saved Search Rules, you can create any number of filters that helps you find and sort through thousands of pieces of information as quickly as you can tap a button. It's your data just the way you want, in an instant! • 1Password Extension integrated to Web Site field. Start getting organized. Get your Tap Forms Organizer and Secure Database app now. • Added IFEMPTY([Field], returnValue1, returnValue2) function to the calculation field. • Added IFNOTEMPTY([Field], returnValue1, returnValue2) function to the calculation field. • Added Migration feature to easily transfer your database to Tap Forms 5 (sold separately). • Fixed crash when using the "in the period" date comparisons on Date Modified or Date Created fields. 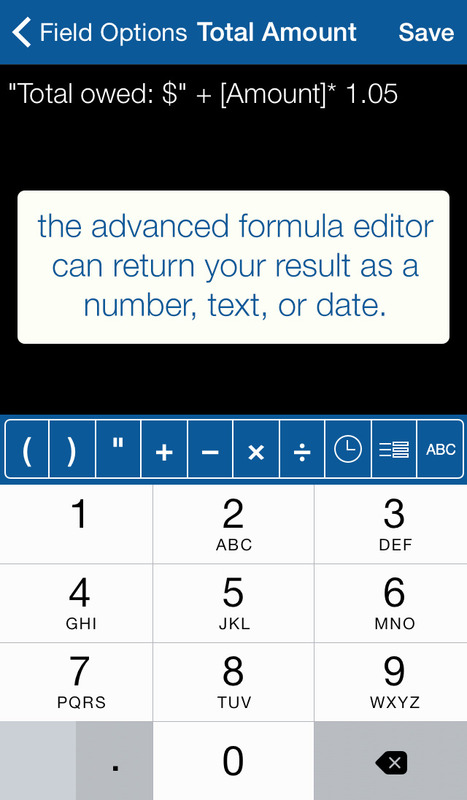 Tap Forms 5 is a completely new application from Tap Zapp Software. Look for it as a separate download on the store. • Multiple photos support for each Photo field.